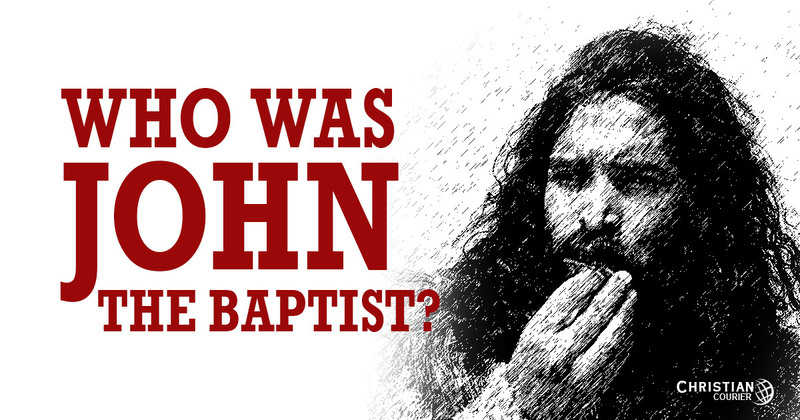 Who was John the Baptist? And what was his relationship to Jesus? He was known familiarly as “the Baptist” (bearing no relation to the modern sect), which simply means “an immerser, one who administers the rite of immersion” (see Mt. 3:1; 11:11; etc.). The Jewish historian Josephus even refers to John by this designation (Antiquities 18.5.2). The importance of John in the divine scheme of things probably is summed up best in the testimony of Jesus himself. “Among them that are born of women there has not arisen a greater than John the Baptist” (Mt. 11:11). John was born to aged Jewish parents, Zacharias and Elizabeth, who were of a priestly family (Lk. 1:5). Interestingly, John’s mother, Elizabeth, was related to Mary, the mother of Jesus (Lk. 1:36). This devout couple lived in the “hill country” of Judea (Lk. 1:39), perhaps Hebron, a priestly city of the region. Luke has a wonderful summary statement of the character of this Hebrew couple. “And they were both righteous before God, walking in all the commandments and ordinances of the Lord blameless” (Lk. 1:6). On the occasion of Zacharias’ exercise of his duty of burning incense in the temple at Jerusalem (a once-in-a-lifetime event for a priest), the angel Gabriel appeared to the elderly gentleman, informing him that his prayers had been heard, and that his wife would bear a son (Lk. 1:13). One must necessarily infer that Zecharias had prayed for a son in earlier times, though Elizabeth was barren, and both of them now were advanced in age (Lk. 1:7). Clearly, John’s conception was miraculous. Incidentally, he was about six months older than Jesus (Lk. 1:26). It was foretold that this child would be filled with the Spirit of God, even from his mother’s womb, and that he would be reared under the strict code of the Nazirite (cf. Num. 6:1-21), an indication of the solemnity of his role in preparing the way for the world’s Redeemer. The Scriptures are silent as to the deaths of John’s parents — though legend has it that Zacharias was slain by Herod the Great, forcing Elizabeth to flee with her babe into the wilderness area of Judea. “And the child grew, and waxed strong in spirit, and was in the deserts till the day of his showing unto Israel” (Lk. 1:80). This desert (or deserted) area “stretches from Jerusalem and Bethlehem eastward some 20 miles down to the Jordan River and the Dead Sea.” It is “a barren region of rugged hills and valleys” (Earle, 30). Any Hebrew familiar with his Old Testament could have expected the ministry of John as a preliminary measure in the divine plan, paving the way for the appearance of the Messiah. Note the following. Seven centuries before the birth of Jesus, the prophet Isaiah spoke of “the voice of one that crieth,” indeed, of him who would “prepare in the wilderness the way of Jehovah,” and “make level in the desert a highway for our God” (Isa. 40:3). While many commentators find in this prediction an immediate application to Judah’s return from the Babylonian captivity, the New Testament writers see in it an ultimate fulfillment in the preparatory work of John the Baptist (cf. Mt. 3:3; Mk. 1:2-3; Lk. 3:4-6; Jn. 1:23). “Although there was a partial return from exile in the years following 539 B.C., spiritually the exile continued until the Messiah came. Only he could solve the deep, underlying problem” (164). John, therefore, was a key figure in the preparation of the Messiah’s work. “Behold, I send my messenger, and he shall prepare the way before me: and the Lord, who ye seek, will suddenly come to his temple; and the Messenger of the covenant, whom ye desire, behold, he comes, saith Jehovah” (Mal. 3:1). First, note the distinction between the “messenger” who prepares the way, and the “Messenger of the Covenant,” for whom the way is prepared. The former is a reference to John, the latter is an allusion to Christ. Second, Malachi’s prophecy regarding the “messenger” is clearly parallel in principle to that of Isaiah (cited above), which, as we have shown, focused in the ministry of John. Third, the prophet later refers to this “messenger” as “Elijah the prophet” (Mal. 4:4-5). In the New Testament we have the testimony of the angel Gabriel (Lk. 1:16), and that of Christ himself (Mt. 11:12-15), that this “Elijah” to come was none other than John. Truly: “There came a man, sent from God, whose name was John” (Jn. 1:6). The description of John is brief and stark. He was arrayed in a “camel’s hair” garment, secured by a leather belt, and his diet was locusts and wild honey (Mt. 3:4). The “hair” cloak might have been a rough fabric woven from camel’s hair, or a camel skin itself. The text is ambiguous. It was, however, quite reminiscent of the adornment of certain Old Testament prophets (Zech. 13:4), particularly Elijah, who, as we have noted, foreshadowed John (cf. 2 Kgs. 1:8). His dietary fare was that generally consumed by the poorer elements of society. He stood in bold relief to the wealthy, indulgent Jews of his day. He was a veritable walking sermon! “John came neither eating nor drinking, and they say, He has a demon” (Mt. 11:18). “Eating and drinking” stood for socializing. The prophet was not a party-goer. His ascetic life-style appeared almost demonic, like those possessed of evil spirits who apparently frequented the desolate areas (cf. Mk. 5:2-3). He did not seek out the multitudes. Rather, somehow, he attracted them. The citizenry of Jerusalem and all Judea went out unto him as he moved about in the Jordan Valley (Mt. 3:5; cf. 13; Jn. 1:28; 3:23). The imperfect tense verb, rendered “went out” (Mt. 3:5), suggests a stream of auditors gravitating to the rough prophet. His influence was phenomenal. Hundreds, if not thousands, were immersed by him. And his success was solely in the message he proclaimed. It is certainly the case, however, that his message was from God, and thus infallibly true. The power of John’s preaching, together with the void in Israel’s hearts, was a winning combination. It must be observed at this point that the common modern allegation that John was identified with the Essene community (e.g., those at Qumran) cannot be established. The differences between John’s message and activities, and those of this sect of Judaism, are as significant as any alleged similarities. John’s mission can be summed up by one word, “preparer.” It was his happy chore to prepare a people for the coming Messiah. Both Isaiah and Malachi had announced that he would “prepare” the way for the coming of “Jehovah” — a firm affirmation, incidentally, of the deity of Jesus. The angel Gabriel had informed Zecharias that his son would be instrumental in turning many unto the Lord, going before his face, making ready a people prepared for him (Lk. 1:16-17). Zecharias himself prophesied that John would be called “the prophet of the Most High” who would “go before the face of the Lord to make ready his ways” (Lk. 1:76). And an inspired writer asserts that John came from God in order to “bear witness of the light,” i.e., Christ (Jn. 1:7-8). The fact that the birth of Christianity was such a resounding phenomenon, impacting the ancient world tremendously, and echoing marvelously across the centuries, is, in some measure, a commentary on how well John accomplished his mission. Let us briefly explore these matters. John provided excellent witness to the nature of Christ. As the prophet began to generate attention, certain Jews in Jerusalem dispatched to him a delegation of priests and Levites in order to ascertain his identity. John emphatically stated that he was not the promised Messiah, nor was he a literally reincarnated Elijah. Rather, he was the fulfillment of Isaiah’s prophecy, the voice of preparation for the arrival of God in the flesh (Jn. 1:19-23). The declaration of John that he was unworthy to either carry Jesus’ sandals or to unloose the thongs thereof (Mt. 3:11; Jn. 1:27) was stunning testimony indeed — with obvious implications. John characterized the Lord as “the lamb of God that takes away the sin of the world” (Jn. 1:29). Moreover, though John was chronologically older than Jesus, he declared that Christ “was before” him (Jn. 1:15, 30). The imperfect tense form stresses the eternality of the preincarnate Word (Jn. 1:1), hence, the Lord’s divine essence (see Morris, 108-109). Since John was administering a baptism that was “for the forgiveness of sins” (Mk. 1:4), he was understandably hesitant to immerse Jesus when the Lord approached him with that request (Mt. 3:14). The inference is clear. Jesus was sinless, or to say it in another way, a lamb without spot or blemish (1 Pet. 1:19). By implication, therefore, John acknowledged the perfection of Christ. Too, having heard the very voice of God himself, and having witnessed the descent of the Holy Spirit in the visible form of a dove at that baptismal scene, John faithfully bore witness that Jesus “is the Son of God” (Jn. 1:34). Many have been puzzled by John’s statement that he “knew not” Jesus until the day he immersed the Lord in the Jordan (Jn. 1:31, 33). It has been suggested that these texts indicate either that John did not know Jesus at all, or that he did not know the Lord as “Messiah,” until the moment the Holy Spirit descended upon him when he came up from the water of baptism. I do not think either of these views is correct. Surely John must have known his mission relative to his kinsman since the earliest days of their lives. Moreover, the fact that he resisted immersing Jesus is a strong clue that he was aware of the uniqueness of the Savior. The key, I think, is in the Greek expression “knew edein not.” The verb signifies a “clear and purely mental perception, in contrast both to conjecture and to knowledge derived from others” (Thayer, 118). When the Spirit was manifested at this time, John “knew,” in a definitive way, not experienced heretofore, that Jesus was the Messiah. There was now a certainty, documented from a higher Source! John preached about the coming kingdom and the need to repent. The Palestine in which the prophet’s ministry was launched was firmly in the grip of a grossly pagan force, the Roman empire. Edersheim graphically describes the conditions of the time. “It has been rightly said, that the idea of conscience, as we understand it, was unknown to heathenism. Absolute right did not exist. Might was right. The social relations exhibited, if possible, even deeper corruption. The sanctity of marriage had ceased. Female dissipation and the general dissoluteness led at last to an almost entire cessation of marriage. Abortion, and the exposure and murder of newly-born children, were common and tolerated; unnatural vices, which even the greatest philosophers practiced, if not advocated, attained proportions which defy description” (I.259). Moral corruption had made deep inroads into Judaism as well. Read carefully the second chapter of the book of Romans. It was into this world that John came with his piercing message: “Repent, for the kingdom of heaven is at hand” (Mt. 3:2; cf. Mk. 1:4). “You offspring of vipers, who warned you to flee from the wrath to come? Bring forth, therefore, fruit worthy of repentance” (Mt. 3:7-8). “Fruit” is the outward expression of deep inner conviction. Without fruit there is no real repentance. Surely we can learn from this that repentance is much more than merely saying, “I’m sorry.” Associated with John’s demand for repentance, was an immersion in water. This will be discussed as a separate item below. For the preceding fifteen centuries — since the inauguration of the Mosaic system — the “reign” of God had been focused in the Hebrew people. This was by divine design in preparation for the arrival of Heaven’s Messiah (cf. Gal. 3:24-25). Now, though, a new phase of the “kingdom of God,” i.e., his reign among men, was about to commence (cf. Mt. 21:43). It would be a regime of a different composition than that of the old theocracy (a combined religious and political system). The kingdom of Christ was not to be a this-world oriented system (see Jn. 18:36). When John proclaimed that the kingdom was “at hand,” what did he mean? The Greek term is engus. The word basically means “near,” when employed literally. It can be used figuratively in prophecy to denote the certainty of an event, from the perspective of time as God views things (cf. Dt. 32:35; Zeph. 1:7; see Jackson, 1995, 118-122). The subsequent context of the Gospel records reveals that literal proximity is indicated here. Jesus would later indicate that some of those in his audience would not die until they observed the kingdom arrive, accompanied by power (Mk. 9:1). Eventually it becomes apparent that this was fulfilled on the day of Pentecost (cf. Acts 1:8; 2:4). John certainly knew nothing of the modern idea that the kingdom was postponed until the time of Jesus’ return to earth, as dispensational premillennialists now allege. John’s message had a biting edge. He spoke of divine retribution, “the wrath to come” (Mt. 3:7). There are several figures of speech employed by the prophet to provide thrust to his message. He talked about the “ax” that lies at the root of the trees, he spoke of an “unquenchable fire,” and of a “fan” in the Lord’s hand (Mt. 3:10-12). There likely is a two-fold thrust to the prophet’s message. First, the more immediate application probably was to the impending destruction of the Jewish nation. Note that from John’s perspective, "even now [literally, “already”] the ax lies at the root of the trees" (Mt. 3:10). As Hendriksen observed, “Jerusalem’s fall (A.D. 70) was perilously near, and foreshadowed the final judgment” (206). Finally, there was the “unquenchable fire,” which vividly pictured the eternal pain that will accompany the suffering of hell. Note: For a discussion of the expression “he shall baptize you . . . in fire” (Mt. 3:11), see What Is The Baptism Of Fire?. What was its “mode” or manner of administering? What was the purpose of the ordinance? What was the consequence of rejecting John’s baptism? Did those baptized by John have to be rebaptized after the church was established on Pentecost? The Greek term bapto is found four times in the New Testament and it always is rendered “dip” in the common versions (Lk. 16:24; Jn. 13:26 (twice); Rev. 19:13). Baptizo is found some eighty times, and it is almost always anglicized (i.e., it has been fashioned into a hybrid word). It becomes an English term with only slight letter modification. Such hybridization obscures the meaning of the original word, but is maintained today for commercial reasons. “Despite assertions to the contrary, it seems that baptizo, both in Jewish and Christian contexts, normally meant ‘immerse,’ and that even when it became a technical term for baptism, the thought of immersion remains” (144). John baptized at Aenon because there was “much water” [many waters] there (Jn. 3:23). Such a reference would hardly have been necessary if baptism can be administered with but a few drops of water. Marcus Dods, a Presbyterian scholar, says of this location: “therefore even in summer baptism by immersion could be continued” (719). John immersed people “in [eis — into] the river Jordan” (Mk. 1:5). The preposition eis “represents the passage of the person of Jesus into the water as the act of baptism took place” (McGarvey, 266). Moreover, when the baptism of Jesus by John was concluded, the Lord came up “out of” ek the water (Mk. 1:10), which clearly implies that he walked into the water — an act that more nearly suggests immersion than sprinkling. Several things were required of those submitting to John’s immersion, in order for the rite to have validity. First, the candidate must possess a confidence in the Messianic message of the Old Testament and hence “believe on him that should come after him [John], that is on Jesus” (Acts 19:4). Second, the baptism was one “of repentance” (Mk. 1:4), i.e., characterized by repentance — motivated by a radical change in disposition. Too, it was a baptism “unto” [eis — towards] repentance (Mt. 3:11), i.e., resulting in a reformation of life. William Hendriksen rendered the phrase in Matthew 3:11 as “with a view to conversion” (207). The preposition eis has its usual prospective thrust. Third, John’s baptism involved a “confession” of sin (Mt. 3:6). Finally, the purpose of the prophet’s immersion rite was “for the forgiveness of sins” (Mk. 1:4). When these requisites were satisfied, the individual received pardon, hence, was a part of that people “prepared” for the Lord (Lk. 1:17). He was “ready” to be set in the Savior’s kingdom when such was formally launched on Pentecost. “The baptism of John, whence was it? From heaven or from men?” (Mt. 21:25). The Lord clearly implied that it was from God, not from the Qumran cult. Though some allege that the phrase “for the forgiveness of sins” (Mk. 1:4; cf. Acts 2:38) does not mean “in order to obtain the forgiveness of sins,” the evidence suggesting otherwise is overwhelming. The standard Greek authorities contend that eis (rendered “for” KJV; “unto” ASV) looks forward to a goal to be achieved. Thayer suggests it means “to obtain” forgiveness (94). Eis expresses the “purpose” of the baptism, “in order to,” “so that sins might be forgiven” (Arndt, 131, 228). Luke’s record reveals the dire consequences of rejecting John’s baptism. “And all the people when they heard, and the publicans, justified God, being baptized with the baptism of John. But the Pharisees and the lawyers rejected for themselves the counsel of God, being not baptized of him” (Lk. 7:29-30). Two words in this text are key. Submitting to John’s baptism was described as “justifying” God, i.e., “by receiving the baptism [they] declared that it had been prescribed by God rightly” (Thayer, 150). A rejection of the baptism, therefore, would have, in effect, “condemned” God for requiring it. Again, those who refused John’s immersion rejected for themselves the “counsel of God” i.e., “the purpose of God respecting salvation” as fulfilled in Christ (Thayer, 104). One cannot but ask: If the rejection of John’s baptism incurred such divine displeasure, what must be the fate of those who refuse the baptism of HIM who is far greater than John? This question has generated much discussion: Were those baptized by John, during those days when his ministry was operative, required to be rebaptized in order to enter the church following the day of Pentecost? Some contend John’s disciples were obligated to submit to the baptism of the Great Commission (Mt. 28:19; Mk. 16:16; Acts 2:38). Their case is based almost entirely on Luke’s narrative recorded in Acts 19:1-7. Before looking at this matter more carefully, let us make a couple of preliminary observations. First, there is no clear, definitive statement regarding this theme in the New Testament record. Acts 19:1ff certainly does not settle the issue — it is too ambiguous. One must, therefore, assemble all the evidence available, and then attempt to draw what he perceives to be a reasonable conclusion. Second, this is not a matter that is crucial to anyone’s salvation today. It should not be debated “heatedly,” nor should one’s view be pressed. It is not a make-or-break issue. We believe, however, that a strong case can be made for the view that John’s work, in preparing a material for the Lord, was effective, and that those genuinely converted under John’s preaching — or for that matter under that of the Lord’s disciples (cf. Jn. 4:1-2) — were not required to be immersed on Pentecost or afterward. John’s mission was to “make ready for the Lord a people prepared” (Lk. 1:17). If they subsequently were required to do exactly what others (the unprepared) had to do (be immersed on Pentecost) what was the difference between being “prepared” and being “unprepared,” or “ready” and “not ready”? Where is the evidence that anyone who had been baptized by John was required to be immersed following Pentecost. Acts 19 surely does not demand that. It is entirely possible, indeed most likely, that the men in Ephesus had submitted to a form of “John’s baptism” long after the prophet had died. Clearly they did not even know that the Lord had already “come,” i.e., that he had accomplished his mission. Their baptism had been predicated upon an insufficient faith regarding Jesus, and therefore, on that basis, was not valid. There is nothing in the context of Acts 19 to suggest that John’s original baptism was temporary in its effect. Is there evidence that any of the original apostles were baptized on Pentecost or thereafter? If the baptism received at the hands of John was invalid after Pentecost, the Lord’s apostles would have been as obligated to Great Commission baptism as anyone else. Though the kingdom of Christ was not fully set in motion until the day of Pentecost, it was certainly in a preparatory phase during the Lord’s personal ministry. Jesus affirmed that his miracle-working ability signaled the fact that “the kingdom of God is come upon you” (Mt. 12:28; Lk. 11:20). In connection with the “kingdom” motif, the Lord told a parable concerning two sons (Mt. 21:28-32). One of these lads represented the chief priests and elders, the upper stratum of Jewish society, while the other boy signified the publicans and harlots, the offscouring of that culture. A point is made regarding their respective dispositions concerning John’s baptism. The Jewish leaders mostly rejected it (Mt. 21:25; Lk. 7:30), but the lower, despised classes were inclined to accept the saving grace of John’s message (Lk. 3:12; 7:29). The reason the publicans and harlots were honored is that they “believed” John’s message and obeyed it (Mt. 21:32). This clearly suggests that the obedience of these folks to John’s preaching granted them entrance into the kingdom of God, when it came into being on Pentecost. R. C. Foster noted that these who obeyed the message that John preached were “leading the way into the kingdom when it shall directly be established” (1129). John’s message was, “repent, for the kingdom of heaven is at hand” (Mt. 3:2). Does not this imply that their surrender to his “baptism of repentance” (Lk. 3:3) would grant them entrance into that “kingdom” when it arrived? Why require baptism in view of the coming kingdom if that baptism had nothing to do with entering the kingdom? If it be argued that the same, in principle, might also apply to those Jews who had offered animal sacrifices, we respond that the two cases are not equal. John’s ministry was unique. “The law and the prophets were until John: from that time the gospel of the kingdom of God is preached” (Lk. 16:16). John’s message prepared honest Jews for entrance into the kingdom. Again we stress the point: if John preached the “gospel of the kingdom,” the implication is that those who obeyed that gospel would be a part of the coming kingdom. Biblical typology is not always a clearly defined field of study. A “type” is a shadow cast on the pages of the Old Testament by a reality which fully comes to light in the New Testament. A type prefigures the antitype (cf. 1 Pet. 3:20-21). Some Bible types are specifically identified (cf. Mt. 12:40;1 Cor. 5:7). Others, perhaps, are merely suggested. Some expositors believe that just as Solomon, who built the temple, was a type of Christ, who built the church (2 Sam. 7:12-13), even so, David, who prepared the material for the temple (1 Chron. 22:2-5), typified John the Baptist. And, just as David’s material did not need any reworking when the temple was being assembled (1 Kgs. 6:7), so neither did John’s material require reworking on Pentecost or thereafter. It is the view of many scholars that the language of this passage suggests that the “three thousand” represents the sum of those immersed in Jerusalem that day, and that these new converts were “added” to the body of disciples that had been prepared previously. William Larkin, professor of New Testament and Greek at Columbia Biblical Seminary, writes: “Three thousand souls welcomed the word (compare 28:30), met its conditions and were baptized. They joined the ranks of the apostles and disciples in the nucleus of the New Testament church” (60). J.A. Alexander argued that those baptized were added to “the previously existing body of believers,” including the company of the 120 persons mentioned in Acts 1 (89). Similar comments could be multiplied many times over. We personally do not believe, therefore, that a case can be successfully made for establishing the fact John’s devout disciples were rebaptized on Pentecost or subsequent thereto. Herod Antipas, the son of Herod the Great (who slaughtered the infants in attempting to eliminate baby Jesus) was a wicked and egotistical ruler. Herod was married to the daughter of Aretas IV, a Nabatean king (SE of the Jordan), but on a certain trip to Rome he stopped to visit his half-brother, Philip, and was “smitten” with Philip’s wife, Herodias. He influenced her to leave his brother, and then he himself divorced his own wife. The two, Antipas and Herodias, thus entered an “unlawful” live-together relationship (though it was accommodatively called “marriage”). It was inevitable, therefore, that John (who denounced sin), and Herod, (who reveled in it), would clash. Actually, Herod had some interest in John’s message. The ruler knew that the prophet was a righteous and holy man. He feared John. Josephus says that Antipas was afraid that John’s popularity might generate a revolt (Antiquities 18.5.2). But the ruler listened to him preach on more than one occasion. The record even indicates that he “heard him gladly” (Mk. 6:20). That kindly disposition was not entertained, however, by “Mrs.” Herod. She “set herself against [John], and desired to kill him” (Mk. 6:19), but she was impeded for a while by the restraint of the king. Herod did, however, at her behest, imprison John in his fortress at Machaerus, in that region east of the Dead Sea (Josephus, Antiquities 18.5.2). Herodias would have to wait for the ideal opportunity to effect the prophet’s murder. There is a curious passage in Matthew’s record that warrants some comment at this point. While John was in prison, he heard of the activity of Jesus. He sent some of his own disciples to the Lord, asking this question: “Are you he that comes, or should we look for another?” (Mt. 11:2-3). Jesus sent a return message. “Go and tell John what you see and hear,” i.e., my message and miracles. But why would John ask such a question? There are a couple of possibilities. First, John may have had some difficulty in harmonizing the kind and gracious ministry of Jesus with the earlier message that the prophet himself had preached regarding the role of the Coming One, namely that he would inflict a day of wrath (“whose fan is in his hand ...”). On the other hand, as with most other Hebrews, John may have entertained the notion that the Messiah would establish a political regime, rather similar to David’s kingdom of Old Testament fame. The Lord’s disciples certainly held to this erroneous view (cf. Acts 1:6). So when John heard more about the passive nature of Jesus’ ministry, i.e., its non-political, benevolent thrust, he may have felt compelled to voice his confusion. And so, would there be “another” Messiah who would function in a different capacity? The Lord assured the harbinger that his works authenticated his ministry as divine. Incidentally, this honest revelation of John’s doubt is powerful testimony to the integrity of the biblical record. No forger would have included such a detail. Nonetheless, the balance of Matthew’s narrative reinforces the integrity of John in spite of the prophet’s momentary confusion. And so John remained in prison, and Herodias waited for her chance to “get” him. The queen had a daughter, Salome, by her previous husband (Josephus, Antiquities, 18.5.4). Accordingly, on a “convenient day,” Herod’s birthday, a party was arranged, and the wicked queen sacrificed the “virtue” of her daughter, who may have been as vile as her mother. At any rate, the temptress danced. Scholars suggest that there is some historical evidence to indicate that the dance likely was punctuated with “dramatic and sensual movements and postures” (Johnston, I.858). Herod was so “pleased” that he offered the damsel whatever she wanted — up to the half of his kingdom. Pleased indeed! “Give me the head of John the Baptizer on a platter” (Mk. 6:25). Though the king was “exceeding sorry” at this vicious petition, his sorrow was not great enough to overcome his pathetic weakness. Immediately Herod dispatched John into eternity, having his head brought into the festivities as a bloody souvenir. John thus ended his relatively brief life upon this earth. But what an impact he made. It may be reverently said that the cause of Jesus would not have enjoyed the immediate success it did but for the role of John the Baptist in the divine plan of redemption. He that is but little in the kingdom of heaven is greater than John (Mt. 11:11). What a tribute this is to the value of our citizenship in Christ’s kingdom. Demons: Ancient Superstition or Historical Reality? Two Examples: Which One Applies? Arndt, William & Gingrich, F. W. 1967. A Greek-English Lexicon of the New Testament. Chicago: University of Chicago. Beasley-Murray, G. R. 1975. “Baptism,” Dictionary of New Testament Theology, Colin Brown, Ed. Vol. I. Grand Rapids: Zondervan. Vol. I.
Dods, Marcus. 1956. The Expositor’s Greek Testament, W. Robertson Nicoll, Ed. Vol. I. Grand Rapids: Eerdmans. Earle, Ralph. 2000. Word Meanings in the New Testament. Peabody, MA: Hendrickson. Edersheim, Alfred. 1947. Life and Times of Jesus the Messiah. Grand Rapids: Eerdmans. Hendriksen, William. 1973. Exposition of Matthew. Grand Rapids: Baker. Jackson, Wayne. 1995. Revelation: Jesus Christ’s Final message of Hope. Stockton, CA: Christian Courier. Johnston, E. B. 1979. The International Standard Bible Encyclopedia — Revised, G.W. Bromiley, Ed. Grand Rapids: Zondervan. Larkin, William J. Jr. 1995. Acts. Downers Grove, IL: InterVarsity Press. McGarvey, J. W. 1875. Commentary on Matthew and Mark. Des Moines, IA: Eugene Smith, Reprint, n.d.
Thayer, J. H. 1958. A Greek-English Lexicon of the New Testament. Edinburgh: T. & T. Clark. Webb, Barry. 1996. The Message of Isaiah. Downers Grove, IL: Inter-Varsity Press.